The Artemis Clinic in West Wickham, Bromley near Beckenham has an established, consultant led, non-surgical aesthetic clinic. We offer a wide range of treatments, the most popular of which are anti-wrinkle and dermal filler injections. All injectable treatments in the clinic are administered by consultant oral and maxillofacial surgeon, Mr Spencer Hodges BDS, FDS RCB. The clinic has built up a large and loyal client base over the years who trust they will always be treated by a highly qualified surgical consultant. Correctly administered, these treatments are safe and effective in smoothing facial lines and wrinkles. The clinic only uses established products that are considered market leaders in their respective fields. The quality of the products used is an important consideration with regards to effectiveness and duration of results achieved. Your consultations and treatments will be with consultant oral maxillofacial surgeon Mr Spencer Hodges. Only the most clinically established products on the market are used. We are fully insured and comply with all regulations. If you would like to book a free consultation with Mr Hodges, or would like further information about our services, call us on 020 8777 1500 or email office@artemisclinic.co.uk. Botulinum Toxin is a nerve inhibitor and protein which is used medically to relax muscles via injection therapy. When injected into specific facial muscles, those muscles contract far less, thus reducing the appearance of fine lines and wrinkles. As the years pass by, facial skin loses elasticity and volume, this, combined with muscle activity mean wrinkles and lines become inevitable. These issues can be safely and effectively addressed by the careful administration of botulinum toxin into the facial muscles. When administered by a specialist, the results are noticeable yet subtle. Smoother skin can be achieved whilst maintaining a natural appearance. With good quality work, there are no obvious signs of treatment apart from a having fresher look. Anti-wrinkle injections are the most popular treatment to address fine lines and wrinkles in the upper part of the face. Typical treatment areas are the frown lines, crow’s feet and forehead lines. Another benefit of this treatment is its role in the prevention of new wrinkles forming. A detailed initial consultation is key to ensuring client satisfaction. At The Artemis Clinic, we offer free 20min initial consultations to facilitate this. It is important to have the time with the specialist to discuss what it is you would like to address and achieve. It offers the specialist the opportunity to discuss with you how to realistically achieve your goals and create a treatment plan to enable this to happen. The administration of botulinum toxin involves a series of injections, using fine needles, into the muscles of the targeted areas. The procedure is not painful (some may liken it to a sting) and local anaesthetic is not required. There may be some redness and swelling post- treatment however this usually subsides after a few hours. Occasionally there may be bruising at the injection site. Our clients receive treatment specific aftercare advice sheets and are advised to contact the clinic if they have any queries following their treatment. We offer free post treatment reviews should any clients wish to discuss their results with the consultant. Unlike dermal fillers which show immediate results, anti-wrinkle injection treatment can take up to ten days to be fully effective. At this stage there will be a will be a visible smoothing out of lines and wrinkles. Due to the quality of the products used in the clinic, the benefits of the injections typically last for between three to five months. Clients are advised to return to the clinic at four monthly intervals for follow-up appointments. The benefits of anti-wrinkle injections are temporary and in the absence of maintenance treatment, the benefits will gradually wear off. Maintaining your treatment regularly is key to maximising its effectiveness. The results of treatment are cumulative, so it is often found that the impact is more pronounced following the second or third treatment session. 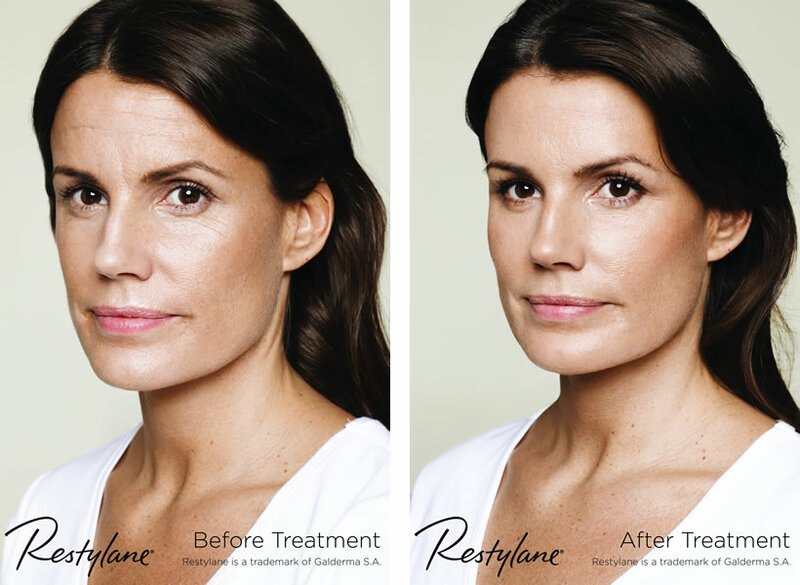 Please note, whilst deep lines will not be eliminated by botulinum toxin, they will be reduced and smoothed, particularly after two to three sessions of treatment. 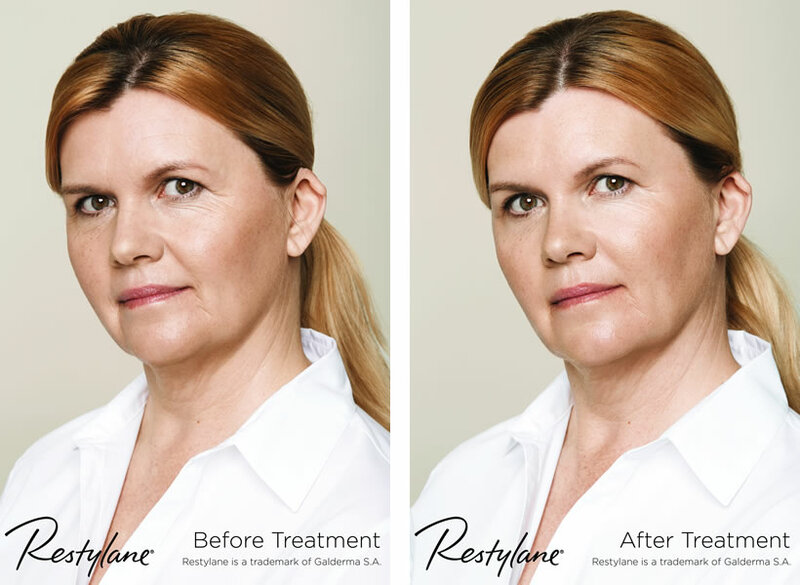 What happens to the botulinum toxin as the benefits are wearing off? It will be gradually degraded by the body’s own mechanism and disappear without residue. Dermal fillers are soft, clear, synthetic gels made of hyaluronic acid. Hyaluronic acid is a natural substance found in all living organisms and provides volume and fullness to the skin. The clinic uses a market leading dermal filler in its various formats. This established brand is used due to its superior quality and its clinically proven effectiveness. Why Have Dermal Filler Treatments? A common sign of ageing is a loss of volume in the facial and eye areas. This, combined with muscle activity, can lead to the development of unwanted wrinkles, lines and sagging. Dermal fillers can safely and effectively address these issues by restoring plumpness and reducing wrinkles. When injected beneath the skins surface, they act by binding to water molecules and help maintain volume. Injecting dermal fillers can re-contour the face and give a smoother appearance to the nasolabial folds (lines between the nose and mouth), cheeks, jawline, and lips. Medium to deep lines, wrinkles and facial depressions can literally be filled to achieve nearly immediate and remarkable results. Applied by an experienced practitioner, dermal fillers offer natural and long-lasting results. Cheeks and Mouth: Folds, lines and creases in this area may be addressed by the careful administration of dermal fillers to effectively restore symmetry, volume and shape. Lip Augmentation: Dermal fillers injected into the lips can enhance not only the size of the lips, but also the proportion and projection of the lips. Jaw Line: Dermal fillers can be used to achieve a more defined, angular jaw line. A detailed initial consultation is key to ensuring client satisfaction. At The Artemis Clinic, we offer free 20min initial consultations to facilitate this. It is important to have the time with the specialist to discuss what it is you would like to address and achieve. It offers the specialist the opportunity to discuss with you how can realistically achieve your goals and create a treatment plan to enable this to happen. The administration of dermal fillers involves a series of injections, using fine needles, into the muscles of the targeted area. The dermal fillers used in the clinic contain local anaesthetic to reduce discomfort during the procedure. There may be some redness and swelling post- treatment however this usually subsides after a few hours. Occasionally there may be bruising at the injection site. The results will be obvious immediately following the procedure, however, it usually takes up to two weeks to be fully effective. Due to the quality of the products used in the clinic, the benefits of the injections typically last for up to six months. Some clients may achieve results that last longer than six months. Clients are advised to return to the clinic at six monthly intervals for maintenance appointments. The benefits of dermal fillers are temporary and in the absence of maintenance treatment, the benefits will gradually and fully wear off. What happens to the dermal filler as the benefits are wearing off? They will be gradually degraded by the body’s own mechanism and ultimately disappear without residue. Excessive Sweating is an uncomfortable condition that affects 3% of the UK population and is usually associated with the underarms. 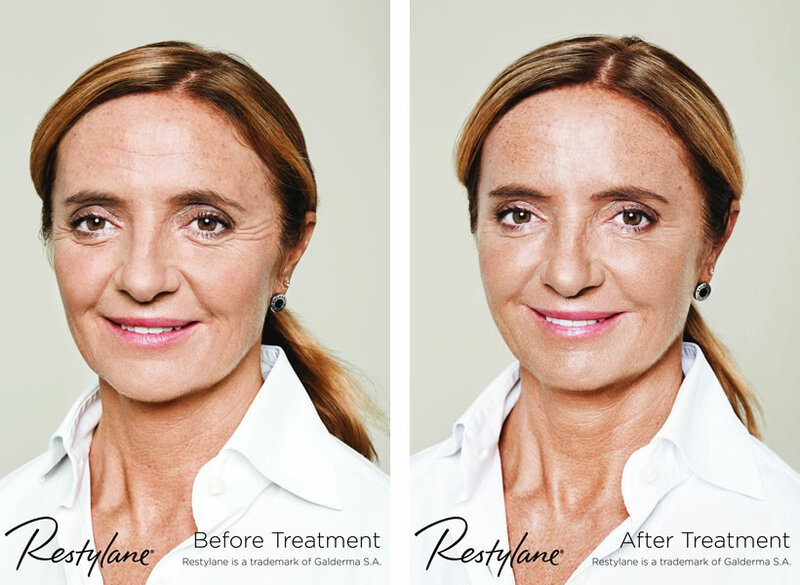 Using botulinum toxin, this condition can be treated simply, effectively and safely. Botulinum toxin, administered via injection, is a proven treatment for this condition and can banish excessive sweating for up to a year. There is no downtime following this treatment and the effects are immediate. We offer free 20min initial consultations with Mr Spencer Hodges, consultant maxillo facial surgeon. 1ml dermal filler – £295 (1ml of dermal filler typically covers both lines between the sides of the nose and the mouth). Who is doing your treatment? How experienced are they? What is their profession (is it actually relevant) and what are their qualifications? It is worth noting that the UK is the only country in Europe in which these treatments can be administered by non-doctors. What products are being used? 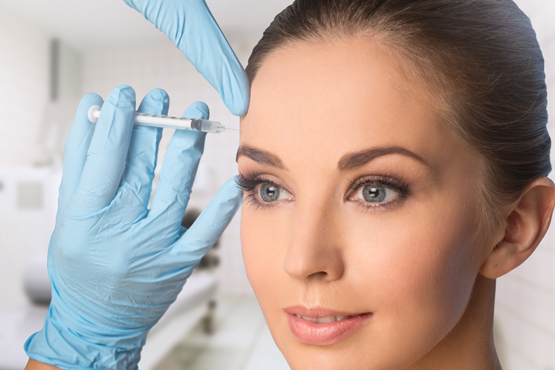 The market for anti-wrinkle injectable products and varieties of dermal fillers has boomed in recent years. How established is the product you are being offered? Are the long term effects known? Cheaper treatment prices often mean cheaper products. Where is the treatment being offered? It is reasonable to expect a medical treatment being offered in a home/beauty salon/hairdressers/nail bar may not be comparable in standard to that offered in a professional clinical setting. Avoid special offers, deals, discount sites and surprisingly cheap prices. It is against regulations to offer any special offers and discounts in relation to prescribed medicines. Most clients coming to The Artemis Clinic for the first time for anti-wrinkle injections and dermal filler treatments have understandable concerns about the procedures. As both users and providers of these treatments, we understand your concerns. Below we have answered some of our most frequently asked questions. I am not sure if anti-wrinkle injections or dermal fillers are right for me, can I discuss my options with the consultant before committing to treatment? It is very important that each client is comfortable with the proposed treatment plan prior to commencing treatment. As such, we offer a free of charge, no obligation initial consultation with our facial surgeon. Following this you may go straight ahead and have treatment or have the session as a consultation only and take time to consider your options. How Qualified is the Practitioner? All consultations, injectable treatments and reviews at The Artemis Clinic are with Mr Spencer Hodges, consultant oral and maxillofacial surgeon. Mr Hodges has been practicing facial surgery and non-surgical facial rejuvenation for over ten years. All clients can be assured they are in the hands of an experienced specialist of the highest calibre. What is the Quality of the Products Used? 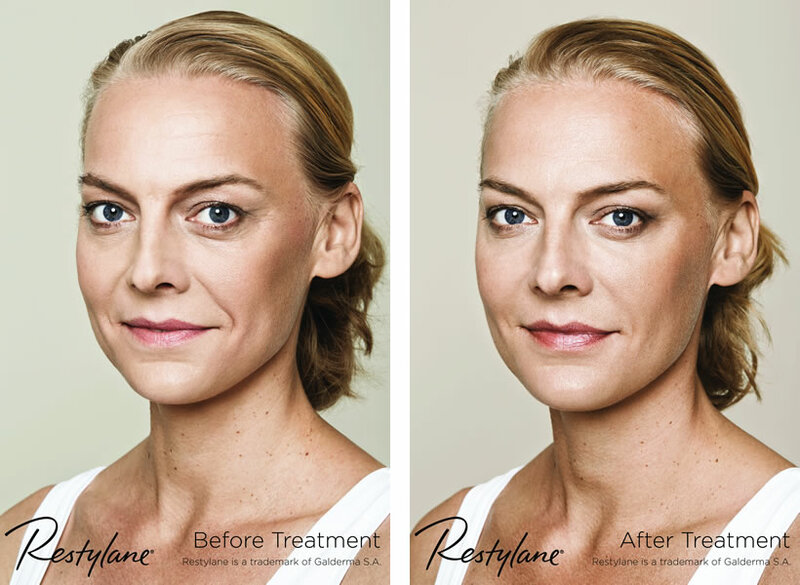 At The Artemis Clinic, we use the Allegan brand of botulinum toxin for anti-wrinkle injections. 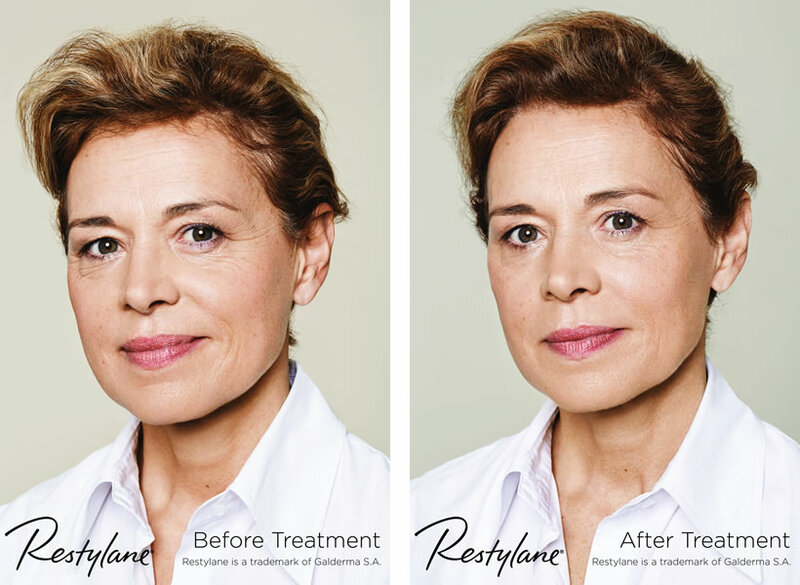 Allergan are the original and most established producers of this product and therefore have more historical and extensive clinical trials than more recently developed products. It remains the highest quality product in this field with proven clinical effectiveness. The dermal filler used in The Artemis Clinic is a clinically proven, established and effective form of hyaluronic acid. With over 200 brands of hyaluronic fillers now on the market, cheaper alternatives are unlikely to come with the same levels of clinical research, safety and effectiveness. At The Artemis Clinic, we will never compromise our quality standards in this respect. Is There Any After Care? As a local clinic whose reputation has been built on quality of service and recommendations, client satisfaction is very important to us. Clients receive after care information sheets and we encourage clients to contact us to discuss any concerns they may have in the weeks following treatment. We also offer free reviews post treatment with the treating consultant. Anti-wrinkle treatment at The Artemis Clinic. This client is receiving anti-wrinkle treatment to address wrinkles in three areas – crows feet, forehead lines and frown lines. The video shows first half of her treatment session. My experience under the care of Mr Hodges was excellent from start to finish. Just wanted to say a very big thank-you for your wonderful care and consideration. Many thanks. Have been coming for botox procedure here for about 18 month. Always very happy with each consultation and outcome of treatment. Would happily recommend. Convenient and competitive price.